Devise a strategic concept of intervention for the achievement of the specific objective, which will provide guidance and orient the choice of projects in the countries which will receive subgranting. Provide financial support to third parties to implement these projects. Coherently with the strategy, the programme shall provide and implement a communication strategy, that will ensure proper dissemination of the results achieved through the projects among BSOs and SMEs. The present Call for Proposals aims at selecting and financing only one contract. Any grant requested under this call for proposals must fall between the minimum amount of EUR 6.000.000 and maximum amount of EUR 6.500.000. The maximum percentage of total eligible costs of the action allowed is 95%. 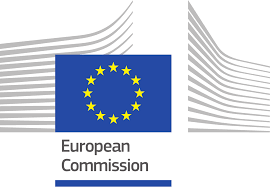 Please find all call documents as well as the guidelines for grant applicant EU4Business Connecting Companies here. *This is a restricted call for proposals. In the first instance, only concept notes (Part A of the grant application form) must be submitted for evaluation. Thereafter, lead applicants who have been pre-selected will be invited to submit a full application.